Why are the affective and the emotional still not recognised and dealt with as core, essential dimensions in political ecology? Three researchers share their thoughts about a roundtable discussion on “Emotional Political Ecologies” during the ENTITLE Undisciplined Environments Conference, held in Stockholm from 20-24 March 2016. The roundtable participants – Christos Zografos (chair), Neera Singh, Andrea Nightingale and Marien González Hidalgo – discussed the main outcomes, challenges and potential contributions for local communities that political ecology faces when focus is placed on the affective and the emotional in research and action on environmental conflicts. I see the programme and it appears to be clear. As an outsider entering the field of political ecology and working in close relation to the arts, I definitely appreciate a session on “Emotional Political Ecologies”. I am excited, but late. It has taken me a while to find the room, since the session is held outside the main conference building (coincidence?). What a surprise when I enter the room and find a lecture theatre with the chairs vertically distributed in tiered seating and the place for the speakers is down at the end, far from the audience. My first thought is, “Oops, this is going to be uncomfortable!” My second thought: “Wow, there are so many speakers in this session!” Indeed, next to the chair of the session, at least 8 people sit in the space for the speakers. After a couple of minutes I realise that the people sitting there are also session attendants, like me. I appreciate this detail – an attempt by the session organisers to transform the space and subvert the spatial distribution that conditions our behaviour in subtle but powerful ways. This reminds me that space, indeed, is very related to emotions, and similarly much neglected in our academic discourse and practice. The session is organised as a conversation among the speakers and the attendants. One question is posed at a time and we all have some moments to reflect and build upon these reflections as the conversation flows. At the outset, Neera Singh makes a distinction between the affective and the emotional, discussing their individual and collective character. I realise how much disciplinary knowledge is needed if we are to grasp the complexity and richness of these concepts and their implications, and I wonder whether this cross-pollination with psychologists and psychology is happening. Neera Singh also highlights that the growing interest of political ecology in affects draws attention to relations, by changing the notion of the self and of subjectivities. Affect is not individual, contrary to what is often argued in order to overlook the emotional within the political sphere. Affect emerges from relations, it is collectively built, and through affect the self is expanded. The affective turn in political ecology allows us, therefore, to look differently at politics, to focus on relationships, and to build different notions of causality. I wonder how it is possible that the affective and the emotional are still not recognised and dealt with as core, essential dimensions in political ecology. As the conversation unfolds, there is space for the subjective, space to acknowledge our emotional reactions and their different effects on our research and the people we work with. There is space for further questioning ourselves, for showing contradiction, for criticism, for doubt… even for an honest cry. I go out of the session with the feeling of having shared ‘something’ beyond an interesting academic debate. I wish this would happen more often. María Heras, PhD, is an environmental researcher working at the interface between social learning, sustainability science and the arts through the development of arts-based research and participation methods. The Emotional Political Ecologies session at the ENTITLE Undisciplined Environments Conference in Stockholm, Sweden, 20-24 March 2016. Photo by María Heras. My eyes lit up when I noted the Emotional Political Ecologies roundtable. My own academic trajectory has stimulated my interest in theories of embodied knowledge, and how people’s embodied (and also emotional) experiences of ‘nature’ affect their environmental views. As such, I was curious what insights could be drawn from the discussion, emotional or otherwise. I was not disappointed. I found the discussion stimulating. The participants struggled bravely against an unsympathetically laid out room and discussed how emotion has been integrated into their research, while leaving ample room for the involvement of the audience. My personal take-home point was that there is a methodological challenge that political ecology (and much of social science) needs to address: the integral nature of emotion to all human activity. 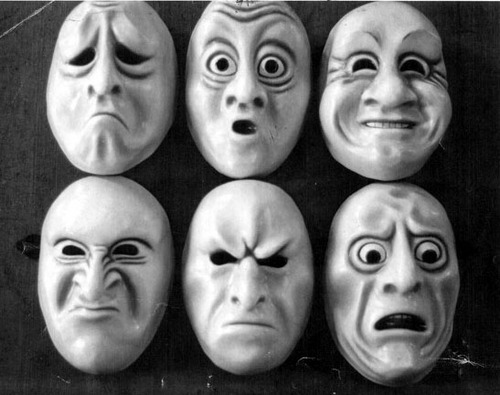 Humans are emotional creatures and emotion is an integral part of experiencing the world (Milton 2002). Whilst mathematics may be emotionless, the mathematicians likely feel something as they’re calculating away. Unfortunately though, much emotion remains hidden behind the dry pages of academic writing. At the roundtable, no simple answers were given, although I think ethnography as a method is perhaps one of the better placed research techniques to handle this. Yet, during the discussion there were times when I was surprised at my own personal emotional reactions to some of the points made by members of the audience. The first was when someone talked about the gendered-nature of ‘emotion’ and how and where emotion is rendered visible. The speaker described how her arguments at an environmental summit were dismissed as ‘emotional’, whereas a male speaker’s own selective use of emotion was considered convincing. As one of only two or three men in the room, I remember bristling at what felt like a simplistic, reductionist and unfair generalisation by the speaker about ‘male’ and ‘female’ emotion (although, perhaps tellingly, my face betrayed nothing). The second case was when another participant recounted how her personal fieldwork ‘breakthrough point’ had come when she had become visibly emotional in front of her respondents. It was the point when her respondents began to trust her, in part because she had shown that she was ‘human’. In the discussion that ensued I felt we were moving toward the idea that it is both important and ‘normal’ to emote in a particular way – visibly. Swedish emotions according to ‘The social guidebook to Sweden’, by Julien S. Bourelle. SOURCE: thelocal.se. I’m uncomfortable about this: I was brought up in England, currently live in Sweden and have recently conducted research in the Faroe Islands. These are places where stereotypically people are considered to be ‘unemotional’ or ‘reserved’ (see picture above). The reality is that just like everywhere else, people are emotional and make emotion visible at particular times and places – which also entails situations where people choose not to emote. This inevitably has a political component. For example, when observing public debates around Faroese whaling, it was clear to me that part of the reason why Faroese pro-whaling advocates were convincing was the cool, calm manner in which they made their arguments. This contrasted markedly with Sea Shepherd activists, who appeared to berate Faroese people with their passionate outbursts. Returning to the roundtable, my concern was that the discussion risked simplifying the myriad ways people approach emoting into normative categories of people as ‘normal-emotional’ versus ‘abnormal-unemotional’. In my own life, there have been times when I have felt under pressure to emote (in one case, over the death of a loved one) in front of people I personally would not normally choose to. I have sometimes resented the normative implication that how I dealt with grief was ‘wrong’. Similarly, I recently began reading a book by Jelena Obradovic-Wochnik on remembering ethnic conflict and war crimes in Serbia. The author is critical of both official denial of atrocities, but also of NGOs that demand “formal, organised, Western, truth-and testimony-based approaches to addressing past violence, and communities which engage in non-verbal, or secretive, or silent ways of dealing with difficult, brutal and violent experiences” (page 7). My point is that just because someone is not emoting as a researcher doesn’t necessarily make them ‘wrong’ or ‘messed up’. I thus very much appreciated Andrea Nightingale’s point towards the end of the discussion that ‘emotional research’ does not require specific practices/mind-sets/rules. Good research practice entails engagement with any given community, and by behaving in a respectful and interested manner one is likely to make emotional connections. After all, the emotions are already there; researchers just need to remember not to leave them in the field. Benedict Singleton is in his final year as PhD student in environmental sociology at Örebro University, Sweden. His research project examines complexity in environmental problems, with empirical focus on the case of Faroese pilot whaling (grindadráp). 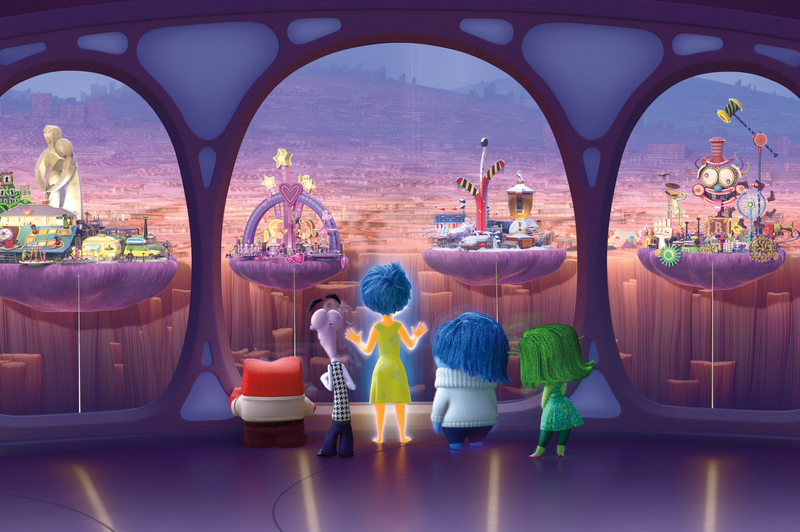 Inside Out (2015) is set in the mind of the young girl, Riley, where five personifications of her basic emotions—Joy, Sadness, Fear, Disgust, and Anger—gradually come to life and influence her actions via a console in her mind’s Headquarters. Source: pixar.wikia.com. The question that for me lingers is how to research emotions in a way that is helpful and informative for political ecology. Using ethnography certainly gears analysis towards more nuanced explanations of people’s actions and behaviours. But one thing is to be able to detect emotions as elements of an anthropological study, and another is to put ourselves as researchers, and the emotions created through our interactions in the field, under the examination “lens”. Things get complicated when we are honest about this “lens” and our research risks being seen as biased, irrelevant or not rigorous. This risk is particularly high with qualitative, ethnographic methods, which focus on the lifeworlds, experiences and words of those people with whom we researchers connect and sympathise. Affinities – based on affiliation and shared views or interests – are not fixed and change over time and from one context to another. The easy politics of women studying women gives way to complex – but still gendered – questions about who counts, who is counted, and in what context (Rocheleau, 1995). Do I give more time and attention listening to a person who has similar experiences to me – or fights the same fights – while being blind to the life stories and struggles of others? When do findings reflect more my personal (emotional or otherwise) connection to places or people in the field, than the reality that I wish to study? And how can research become more aware and open to these boundaries being blurry, instead of treating them as if they don’t exist? A related challenge is that if we know no other way to integrate and reflect upon the emotions that we encounter or experience in the field, we may not be able to write about them without being emotional in our writing. Perhaps recognising and reflecting on what prevents critical socio-environmental research from integrating emotions and the affective, can show us how to overcome these constraints; how to move towards a much needed epistemological juncture without compromising research quality. Can such constraints be pinpointed to strict disciplinary boundaries? Or to the treating of the emotional as an annex to ‘core’ methods? Or even to the implicit encouragement of avoiding emotions in our “scientific” interactions, as a way to be taken seriously as researchers/scientists, both in the field and in our institutions? Surely there is a lot more to be said about knowledge production and its division, categorisation and mystification. Avoiding emotions is indeed avoiding to doubt, to be uncertain, to pause and reflect. It is thus avoiding to be vulnerable, to ask for (and give) help, to admit the need for each other’s care and affection. But doesn’t this reflect the evolution of social imaginaries, cultural values in society, as well as the power dynamics within which those imaginaries and values are built? Being new to these conversations, I came out of the session craving for a mind map of the different successful and meaningful attempts that have been made to allow emotions to permeate research in ways that do not compromise a thorough analysis and clear communication of the results. Emotions (and their expressions) are hard to categorise in binary, normative ways, as good or bad, motivating or demotivating, revolutionary or obedient, bonding or alienating. However, in my view we need to recognise that some sort of division is possible and even useful for our reflective and analytical purposes. Some emotions can be detected, while others may remain unrevealed to us. Some can be surprisingly relevant to our questions, while others need to be left aside for the sake of drawing context-specific research lines. Finally, some aspects of emotions and emotional expressions can be worked with, as part of an engaged, “organic” and/or activist research agenda, through specific methodological tools (e.g. theatrical game, artistic expression, group actions, exchange and use of stories), while others are simply imbued in our interactions with human and non-human subjects in the field. Though surely this needs to be further explored, I believe that both these ways of working with and reflecting on emotions can contribute to a deeper understanding of socio-environmental conflicts, and to the struggles and aspirations of communities involved in them. Panagiota Kotsila is a postdoctoral researcher at the Institute for Environmental Science and Technology, Universitat Autònoma de Barcelona. Loved the reflections! Thanks for sharing Pana, Ben and Maria!